App Builder Appy Pie, March 30, 2018: As quarter of the year has gone by, there have been oodles of developments in the world of technology and the entrepreneurial world. Technology, particularly mobile technology and app development has been growing by leaps and bounds. New breakthroughs and innovative approach are two of the main proponents of the technology making it one of the most dynamic arenas. The mobile app sector in particular has grown multifold in a surprisingly small number of years. Any company today, whether it is into selling products, assisting clients in achieving some form of a goal, providing any kind of a service, or offering any information, has already made, or is considering making an app that would be accessible to their customers. Of course, there is a strong need to brainstorm about the functionality of the app and the required resources that will go into it but remember that the technology that you choose to work with should be selected based on your needs in particular. There are a number of mobile app technologies or tools that are largely used for a particular platform or for cross platform app development. If you are looking to build your app from scratch by yourself, there is an entire range of tools available as a part of advanced mobile app technologies. The tools listed below are perfect to build an entire app from scratch while offering you multi-platform capabilities in order to reach a large audience. Appy Pie has put together a list of mobile app development tools that can help you build a flawless app from scratch. The one platform that is the savior of all those who do not know or do not want to deep dive into coding. Appy Pie is a great DIY platform for creating mobile apps that can be published on Google Play, Apple App Store, Windows App Store, or any other store you have in mind. The best thing about Appy Pie is that you would not have to write even a single line of code, but just click and add features and you can have a customized, unique app ready in a jiffy! One great thing about the platform is that they literally have hundreds of amazing features that you can add to your mobile app, that you build yourself without having to hire an app development agency or invest in hiring an in-house resource. You would not be burdened with a billion jargons and they have an amazing resource library in their FAQ section and quite an active and rich YouTube channel that keeps you updated with the latest news and views about trends, tips, and tricks to make your app a success. The platform gives you quite a comprehensive dashboard that lets you in on meaningful data and some great insights. This not only tells you how popular your app is, but also why your audience loves you. It is not enough to just launch an app and forget about it. Analytics would tell you which features, buttons, or elements you need to tweak, if you want to engage and retain your app users. The platform further lets you add monetization feature to your app which means that even if you decide to offer your app to the users for free, you would be able to make some money from it through a number of ways they have to offer you. PhoneGap is a freeware, opensource program that has the ability to work with device hardware features including accelerometer, GPS/location, camera, sound, & many more such native elements. The framework of this tool is integrated with a great number of libraries that help improve the functionality of the app and in doing so, helps you save a lot of time in the critical phases of developing a mobile app. This versatile tool is unique due to an inherent flexibility, which is why the tool facilitates the developers in building different kinds of mobile apps with considerably lower amount of efforts spent on them. Furthermore, a developer working with this tool has the liberty to extend the functionality or usability of the mobile app with the help of various plug-in architecture, as and when needed. Mobile applications that have been developed with a tool like PhoneGap enjoy the ability to work consistently flawlessly over multiple platforms, thus maintaining a similar look and feel of the app. The tool is also fortified by quite a strong & powerful backend system, which means that the mobile apps developed with PhoneGap are gifted with speed of completion. 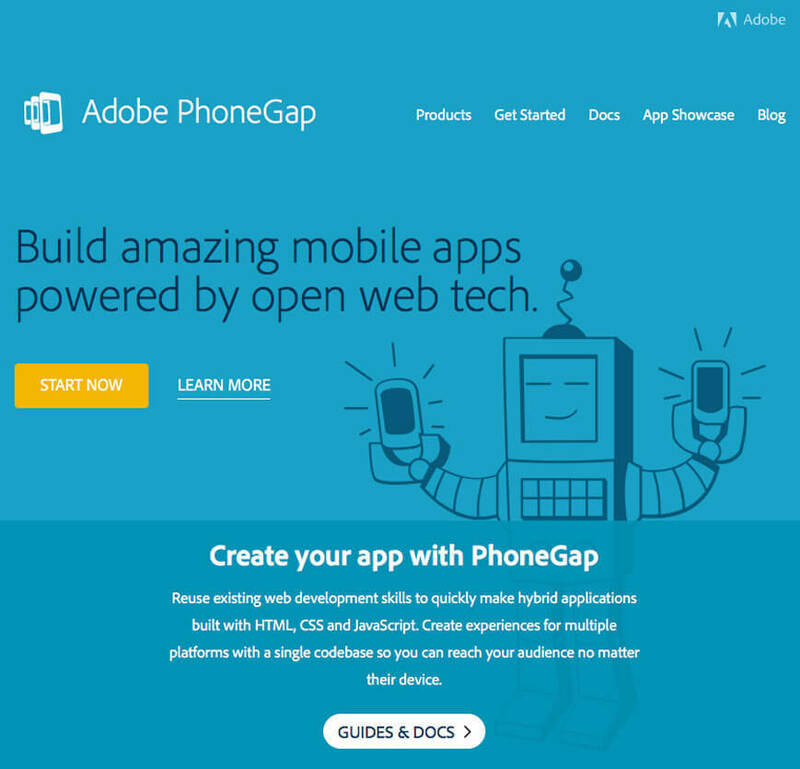 Being a freeware, opensource program, PhoneGap has an immense community of developers who would easily be able to assemble new codes and modules in order to bring about an improvement or enhancement of the quality of the apps being built with it. This is one of the most convenient and effective tools to build mobile apps when you may not have any special skill set or expertise. Xamarin, another popular tool with app developers is a C# based tool. The framework for this tool is unique in one thing that it lets the developers work with native IDEs (Integrated Development Environments), APIs (Application Programming Interfaces), and languages. It is this set of traits that makes Xamarin the preferred choice when it comes to native applications. Xamarin reuses business logic layers and data access across platforms, which becomes especially beneficial for the developers when there is need to implement certain functions like massive amount of local data, offline mode, and image recognition. Like we mentioned earlier Xamarin is built on the programming language C#, which means that it runs on the .NET common language infrastructure. Xamarin as a tool is used quite popularly to build apps for all the three big platforms – Android, Windows, & iOS. It supports monitoring of quality and functionality testing across a great range of devices which helps the developers come up with scalable & robust mobile applications. It is a mono framework which makes it possible to establish and maintain communication with the APIs on the mobile devices. The one, defining feature that makes Xamarin a lucrative tool is that the apps made with this tool tend to have fewer bugs as compared to others and thus provide much faster time to market. The tool has lesser codes, which means there would definitely be fewer bugs. This means that with just a single test, the code of both the platforms can be validated with great efficiency. The core philosophy of the tool Xamarin lies in its collaborative nature, hence, the tool extends to the developers, an opportunity to pick and choose from a number of components of which some are paid, while others are available for free! The Xamarin Component Store has a variety of UI controls, third party web services, and cross-platform libraries. Another great feature of the tool is its ability to integrate with a great number of popular backends like Salesforce, & many more. 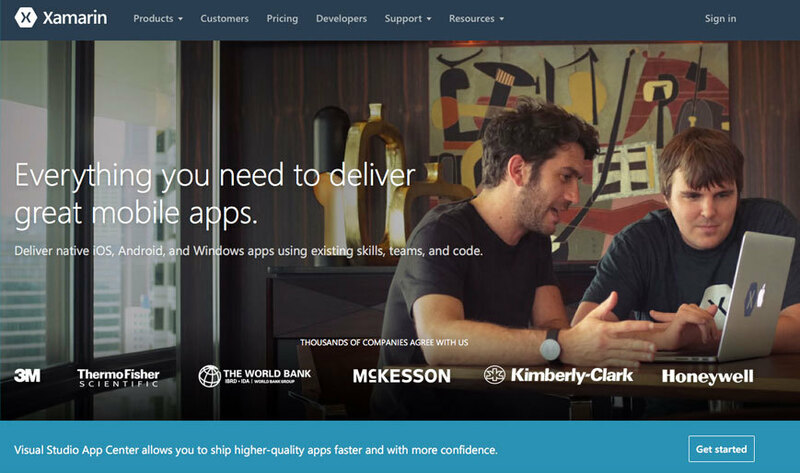 It would not really be an exaggeration to crown Xamarin as the King of cross platform app development. Having said that Xamarin has some compatibility issues with open source libraries for iOS & Android, & in order to encourage development of substantial projects, these issues must be addressed with promptness & sincerity. Titanium is preferred by many because of the lucrative benefit it offers by providing the developers access to more than three hundred location information & APIs in addition to metrics that can be customized for events & for actions. The apps made on this tool can be completely hardware based, while offering you the option to store all the app data either on the device, or the cloud. Making an app however, is not the end of the game for any developer or app owner. The tool allows you access to some impressive app usage insights which can prove to be an effective treasure trove for a developer when they want to monitor and later enhance the performance of the app. It has real time analytics and the Performance of Crash Analytics which might come in real handy in finding the exact issues that need to be fixed. 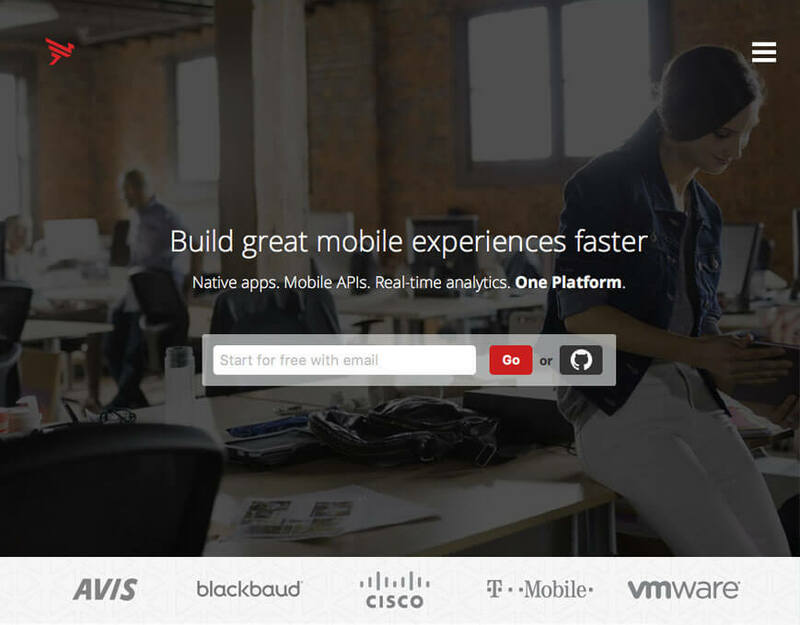 RhoMobile is a desirable tool to work with, for its one defining trait – you only need to code once. This code, then can be used to build mobile apps for almost all the major smartphones. In an effort to keep only the latest and most updated data on the mobile phones of the users, RhoMobile comes with a hosted development environment – RhoHub, & RhoSync. The framework of ionic is Sass CSS language based and is cross-platform too, which means that it has the ability to run on numerous operating systems. This is one of the more easy to use tools and can even be integrated with Angular JS, if you are planning to develop apps that are a little more complicated. Ionic is predominantly used for creating hybrid mobile applications. 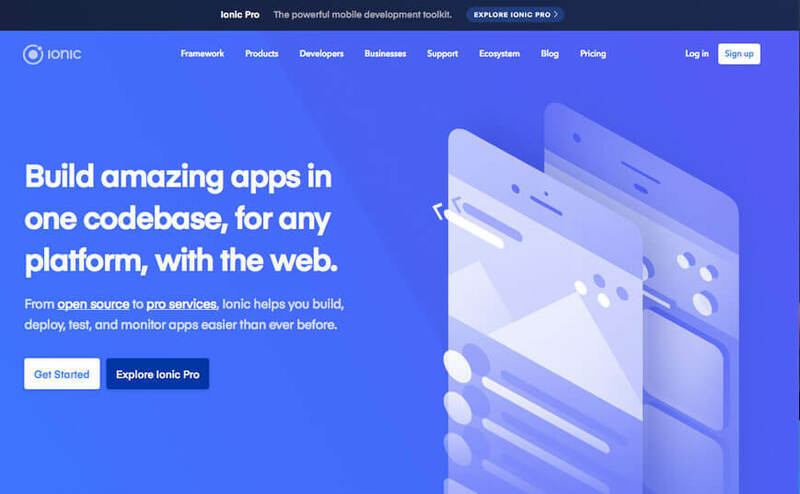 Since it is a complete open-source SDK (Software Development Kit) Ionic is perfect when it comes to building hybrid mobile apps with the use of web technologies including, but not limited to CSS, HTML5, and SASS. This is a great tool with unique features & services to build apps that are especially interactive. 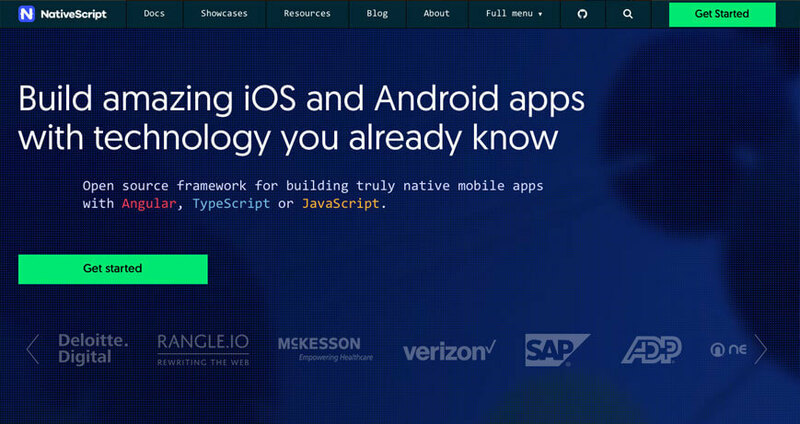 Ionic has an entire library of mobile-optimized HTML, CSS, and JS CSS components, tools, and gestures. 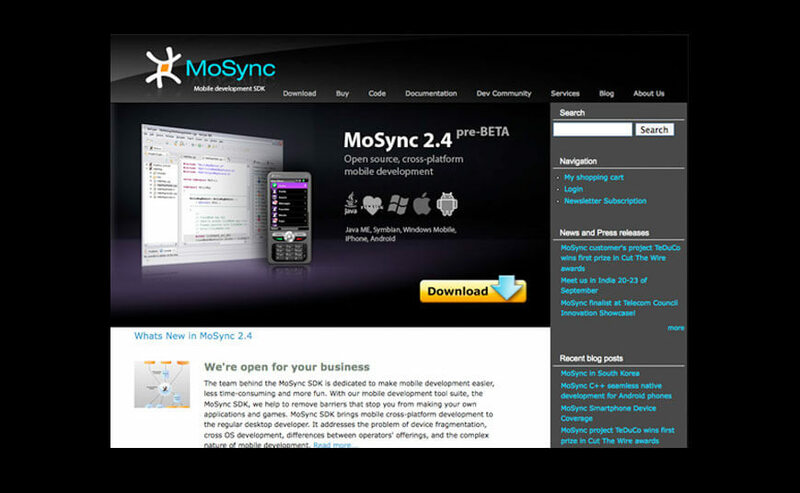 MoSync is a great tool based on standard web programming and is also a multi-platform mobile app development Software Development Kit (SDK) tool. This tool is unique as it comes equipped with libraries, compilers, device profiles, runtimes, and other useful tools. 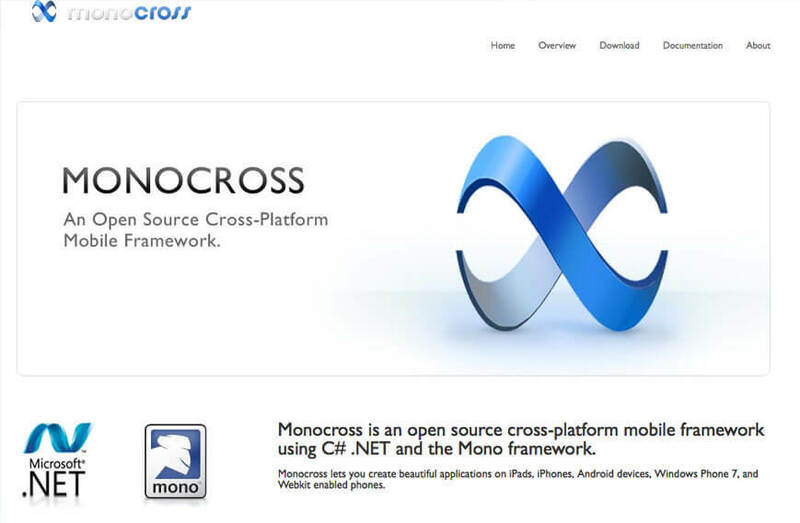 Yet another cross-platform, open source mobile framework, Monocross makes use of C#, Microsoft .NET, and the Mono framework for the development of applications that are supported on multiple platforms including Android smartphones & tablets, iPads & iPhones, Windows phone & devices that Webkit-enabled. One of the greatest features of this toolkit is that it makes app porting a lot more easier. This eventually helps the businesses adapt to the ever evolving and dynamic nature of various platforms. 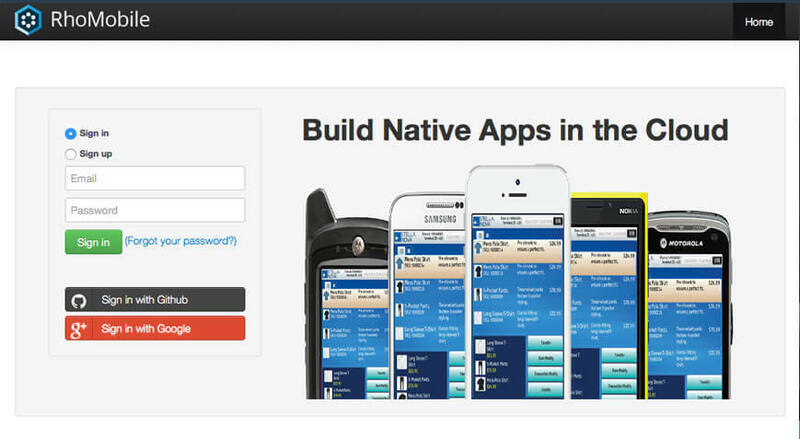 NativeScript too is an open source, cross-platform development tool, but unlike many other competitors, the tool can be used for free. The tool doesn’t even have the tiering system with certain Pro or Paid levels for advanced options. The app development tool Kony has the ability to support a massive range of things including API management, chatbots, voice, customer reporting, augmented reality, reference apps, & many such more elements. While the tool itself can be installed both on Windows & Mac computer systems, the companion mobile apps are used for preview and testing on the actual device that it is supposed to run on. Nice list. Cross-platform app development help business to remain ahead of the competition and to generate revenue.